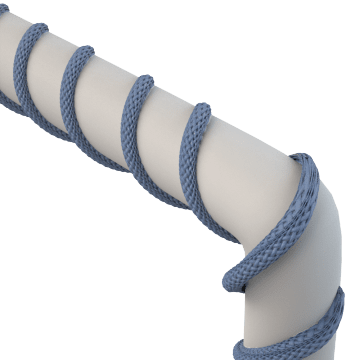 More forgiving of imprecise wrapping than heating tape, heating cords are flexible electric heating elements that can be wrapped around pipe, tubing, or vessels to maintain or raise the temperature of the liquids within—a process called trace heating. This is done for viscosity control, freeze protection, or process temperature regulation. A temperature controller is required.